Hinduism has since ages considered the female aspect of God and worships it as dedicatedly as any male God. Shakti, also known as Devi or Durga, is the personification of feminine power. 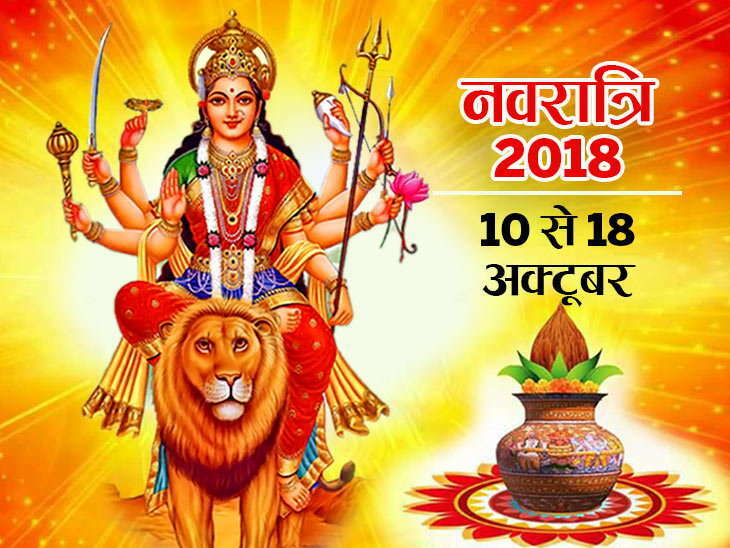 Navratri (Nav- nine; ratri- nights), commences on the first day of the Ashwin month (September – October) of Hindu calendar and ends on the tenth day which is known as Vijayadashami. Dusherra, though celebrated with different names and stories throughout India and Nepal, it signifies the same thing, i.e., the triumph of good over evil. Goddess Shailputri, Brahmacharini, Chandraghanta, Kushmanda, Skandamata, Katyayani, Kalaratri, Mahagauri and Siddhidatri are the nine manifestations of Goddess Durga signify the power of womanhood. The legend is Mahishasura, a buffalo-headed demon, did intense penance to please Lord Brahma. Impressed by his devotion, Lord Brahma had offered him a boon by which no man or God would be able to kill him. Backed by this gift, he waged war against Devas (Gods) and defeated them. Humiliated by their defeat, the Devas assemble to combine their divine energies to give birth to Goddess Durga. Since no man or God is able to kill Mahishasura, Durga is said to have rode into battle on Lion and killed him. Hence she is also known as Mahishasuramardini. 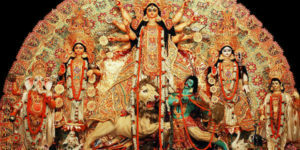 Bengalis dedicate nine days of acute devotion towards Durga. On the tenth day, known as Vijaya Dasami, is when Goddess Durga is said to have killed Mahishasura. On this day, processions of her idol are taken out through the streets and later submerged into the water. Mainly celebrated in the states of Uttar Pradesh, Bihar, Madhya Pradesh and Uttarakhand, Dussera (Dus-ten, hara-destroyer), this festival is dedicated to commemorate the victory of Lord Rama who destroyed the ten headed Demon, Ravana. According to the tales of the epic Ramayana, Ravana kidnapped Sita, wife of Rama and took her to his abode in Lanka. Rama is said to have worshipped Durga, and fought Ravana through her grace and killed him. Later, he brought back Sita along with him. 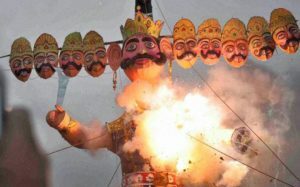 Devotees build effigies of ten headed Ravana, dress up as Ram and burn the idol. Both Goddess Durga (also known as Amba) and Lord Rama are worshipped to mark Vijayadashami in Gujarat. They fast and pray for nine days. Through the nine nights, they are seen in colorful attires dancing to two of their regional dances. 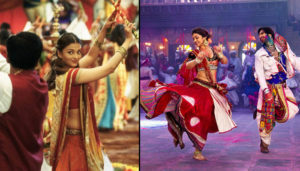 One is Garba where in they perform around a lit lamp or Goddess Amba. Another is Dandiya raas which is performed using a pair of colorful sticks. Dasara in South India holds the same tale as that in Bengal. Goddess Chamundeshwari of Chamundi Hill, Mysore district, Karnataka is the Durga here. 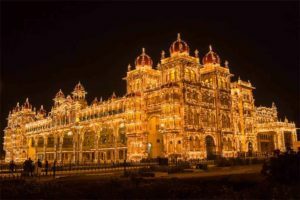 During these ten days, Mysore city is lit up and pompous celebrations are held here with dance, music, and variety of other cultural activities. hatred, jealousy, selfishness, and ego- that live within us, and justify the celebration of this festival.